As Facebook takes action against dodgy pages professing support for the BJP and Congress ahead of the Lok Sabha elections, is this the start of a long and arduous clean-up for the social network? Social media platforms have become the inevitable battleground ahead of the Lok Sabha elections. Just days after social media companies including Facebook, Twitter, Google, TikTok and ShareChat submitted a “Voluntary Code of Ethics for the 2019 General Election” to Election Commission of India (ECI), Facebook has made its first big crackdown. Pages, profiles and groups linked with two of India’s biggest political parties, the Bhartiya Janta Party (BJP) and the Congress, have been taken down in an attempt to curb the spread of misinformation, fake news and potentially restrict the use of fake Facebook accounts to keep these pages running. Facebook had clarified that most of these detections were done by the automated systems in place to scan, identify and flag content. But it is perhaps important to understand what Pages and profiles these actually were, and what sort of content they were posting. From the outset, we need to specify that none of the pages or profiles that have been taken down are not the official accounts of any political party. That perhaps adds a twist to the entire saga of how sentiments are being conjured up on social media, with the use of "pro" accounts being run by others. In the first part of the clean-up, Facebook says they have removed 687 Facebook Pages and accounts, which they say engaged in coordinated inauthentic behaviour on the platform. This included using fake accounts to join groups—the breakup includes 138 Facebook Pages and 549 fake Facebook accounts. These online identities were sharing posts about news, political issues, upcoming elections and criticized rival political parties including the BJP. “While the people behind this activity attempted to conceal their identities, our review found that it was connected to individuals associated with an INC IT Cell,” says Nathaniel Gleicher, Head of Cybersecurity Policy at Facebook. But who are these pages and what exactly have they been posting? Gleicher and Facebook suggest that a lot of these pages and accounts in the group of 687 online personalities that were identified and removed were linked to the Congress party, more specifically the IT cell of the Congress. The pages that are now unavailable on Facebook include Navsarjan Mehmedabad, Navsarjan Dharampur, Navsarjan Balasinor, Navsarjan Khambhat and Navsarjan Modasa. Most of these have similar logos which went with their profiles and pages. Incidentally, the Navsarjan Vatva page has been spared—the last post on this page was on 27 March, at the time of writing this. Incidentally, most of these pages were created in 2017, ahead of the Gujarat elections with focus on different cities or regions, and have been active since. The content posted by these pages, if we go through the archived links, was purely political and mostly in the local language. This included posters and videos praising one party while criticizing others, as well as a lot of caricatures to show the apparent failings of rival politicians. Then there is the question of the reach. Facebook’s numbers suggest that 206,000 accounts followed one or more of these pages. These Pages also spent about US$39,000 (around Rs 2,701,680) on ads to get greater visibility for their posts, between August 2014 and March 2019. At the same time, Facebook also said they removed a further 15 entities for sharing incorrect and unauthentic information. This includes 1 page, 12 Facebook accounts, 1 group and 1 Instagram account. The social network also suggests that this one page was used to criticize political rivals of the BJP, including the Congress—it was called The India Eye. It is believed that Indian IT firm, Silver Touch, had been running this page. Incidentally, Silver Touch is believed to have close links with the BJP, and has worked on several projects for the party, including the Narendra Modi app for smartphones. 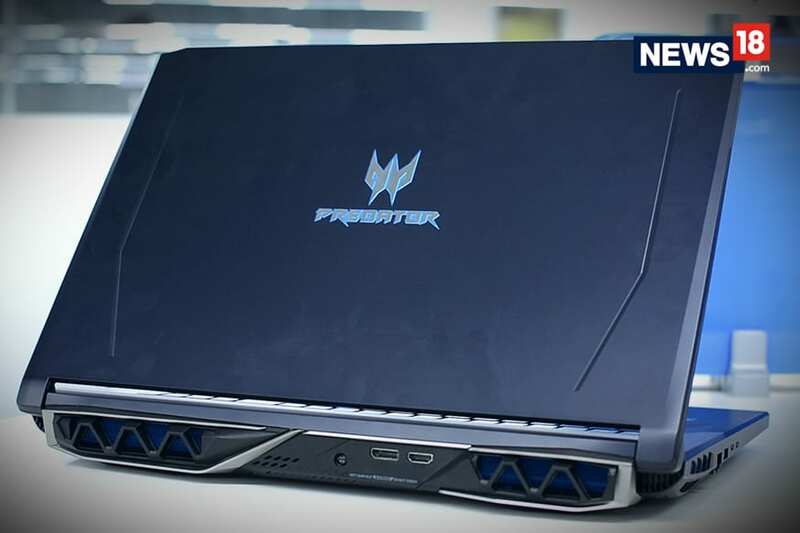 The company has offices in Ahmedabad, Baroda, Surat, Lucknow, Kolkata and Bengaluru, as well as in the US, UK and France. The content that The India Eye posted revolved around mocking political opponents and praise the current Narendra Modi government for its achievements. In one post posted on 13 August, the account has posted a photo of what is believed to be a vehicle being used by the Congress party for campaigning and claimed it is a hearse van instead, repurposed by the political party. 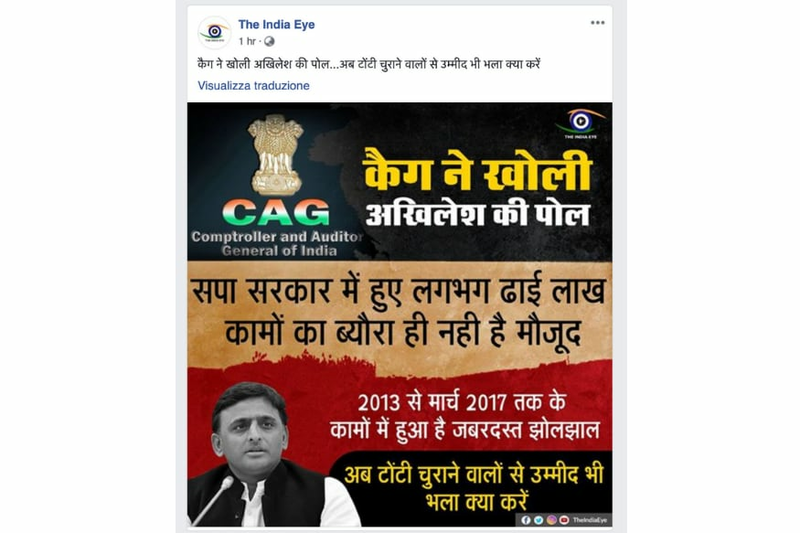 Another post mocks the Samajwadi Party leader Akhilesh Yadav after the CAG said that his government needed to explain irregularities worth Rs 97,000 crore—roughly translating on the lines of what to expect from someone who steals taps. The authenticity of claims in either post remains incomplete. And this is just a snapshot of what the posts were essentially about. When the Facebook crackdown happened, The India Eye had 2.6 million followers on Facebook and more than 30,000 followers on Instagram. The Instagram account was posting visual content and used popular hashtags to make sure the content was easily searchable as well by anyone not following the page at the time. Incidentally, the Twitter account of The India Eye has also been suspended, and remains so at the moment. This page had spent as much as US$70,000 (around Rs 4,848,029) to push adverts on Facebook, between June 2014 and February 2019. Last month, social media companies including Facebook which also owns Instagram and WhatsApp, search giant Google, short video sharing app TikTok as well as Twitter had presented the “Voluntary Code of Ethics for the 2019 General Election” to Election Commission of India (ECI). Among many measures that will be in place to ensure the quality of content being shared on social media, these platform have also had to up the game in terms of monitoring, detecting and eliminating content that could be fake news or information being spread with malicious intent.